Are you interested in getting started with data visualization? 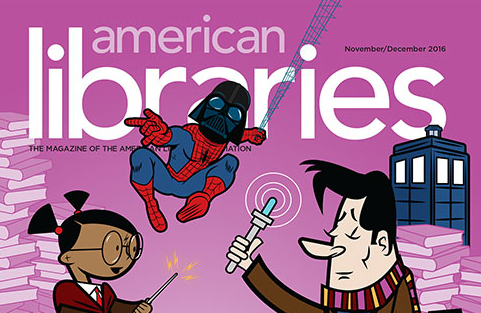 Check out our column in the November/December 2016 American Libraries: Let’s Get Visual! In this column, we share four simple steps for visualizing your data. Your library offers a lot of great programs, but how can you determine what effects these have on your users? In this session, you’ll learn practical tips for getting started with outcome-based evaluation. You will gain a deeper understanding of a) what outcomes are and how they work in conjunction with inputs and outputs to provide meaningful information about your library’s impact on your community; b) how to measure them (including an overview of several free or low-cost outcome survey tools; and c) how outcome-based evaluation results can be used for management, strategic planning, and demonstrating the value of your library programs. A recent report by Civic Enterprises and Hart Research Associates focuses on student homelessness and the effect that it has on the students in school and throughout their lives. This report follows an announcement by the National Center for Homeless Education that the number of homeless students in the United States has doubled in the past decade to 1.3 million in 2013-2014. The researchers for this report conducted both qualitative and quantitative research, primarily in-depth interviews and surveys, in order to provide a full picture of the impact that homelessness has on children in school. Dealing with insecure housing had obvious impacts the lives of children, with a large majority (82%) of the formerly homeless youth surveyed saying that this instability had a big impact on their overall lives, including nearly three-quarters (72%) who said that homelessness negatively impacted their ability to feel safe and secure. Among these respondents, 6 in 10 (60%) also said that it was hard to stay in school while they were homeless and nearly 7 in 10 (68%) said that even if they able to get to school, it was hard to succeed. Despite these challenges, two-thirds of homeless youth (67% of respondents) said that they were uncomfortable talking about their housing situation with their peers and teachers at school out of fear of being bullied or being separated from their families. While there are programs in place to help homeless students, just 1 in 4 (25%) of the youth surveyed thought that their schools did a good job helping students find housing, and over half (58%) thought that their schools should have done more to help. Schools are often a source of stability for homeless youth during an otherwise chaotic time, so school libraries can help these students by providing safe and consistent spaces for studying or doing homework. Librarians can also support these students by making resources readily available that can connect students and their families to organizations that will help them find housing, transportation, and other support that will help students thrive in school. 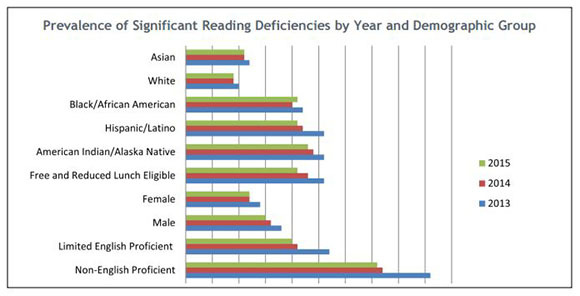 According to a recent report by the Colorado Department of Education, the number of students with reading deficiencies has dropped since the Reading to Ensure Academic Development (READ) Act was implemented in 2013. 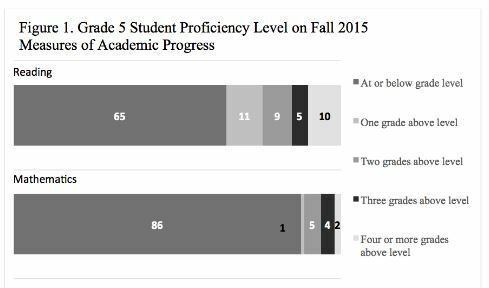 The READ Act was passed in 2012 with the goal of ensuring that every student in Colorado reaches reading proficiency by the end of third grade, a time that researchers have identified as a critical benchmark that often predicts academic success throughout school. Under this act, students identified as having a “severe reading deficiency” (SRD) receive intervention support until their teacher determines that the student is meeting reading expectations for their grade level. In 2013, about 1 in 5 (16.5%) of K-3 students were identified as having a SRD. That number dropped to 14.4% in 2014, and even further to 13.8% in 2015, resulting in a 2.7% decrease in students having a SRD over the two years since the READ Act was implemented. This may not seem like a high percentage, but it equates to 6,059 students who are now less likely to struggle throughout school and are more likely to graduate high school than students with a SRD. The numbers are even more impressive among students who remained in the same school district. Following the 2013 cohort of first-graders, those who had consistent support from the same district were more likely to catch up with their peers’ reading level; out of the 10,737 students identified as having a SRD, over half (54%) were reading at grade level by the time they reached third grade. The full report contains a wealth of related information, including breakdowns of the data by region and demographic group. This information can be useful to school librarians to identify which students may need extra support with reading. 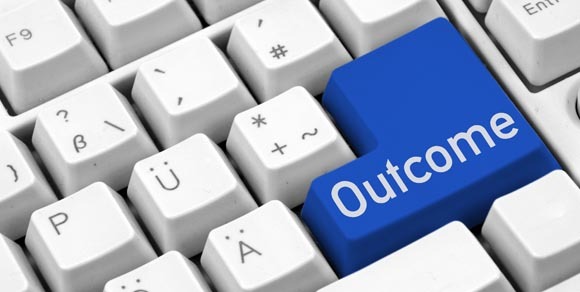 Are you wondering why everyone in the library world is talking about outcomes? Join us this Thursday, April 28, 12:00-1:00 MDT, for our webinar “Count Your Impact: Getting Started with Outcome-Based Evaluation,” and learn what all of the fuss is about. During our time together, you will gain a deeper understanding of what outcomes are, how to measure them (including an overview of several free and/or low-cost outcome survey tools), and how outcome-based evaluation results can be used for strategic decision-making and demonstrating the impact of your library. You can find out more information and access the online classroom via this link: http://cslinsession.cvlsites.org/upcoming/count-your-impact-getting-started-with-outcome-based-evaluation/. School Library Journal recently reported on the newest statewide study on the impact of school libraries for student success, commissioned by the South Carolina Association of School Librarians (SCASL). While this now marks more than a dozen states that have conducted studies showing a link between school library programs and student achievement, this study was the first to show school library’s contribution through test results for specific English language arts (ELA) and writing standards. In South Carolina in 2012-2013, 7 school library characteristics were linked to student achievement, even when controlling for factors such as gender, race/ethnicity, disability, and free or reduced meal eligibility. Those characteristics are: 1) library staffing, 2) total library expenditures, 3) librarian hours spent on teaching activities, 4) circulation of library materials, 5) size of collection, 6) availability of computers, and 7) number of group visits to the library. While an increase in each of these areas was positively correlated with better test scores and strengths in standards that were available for this study, a few findings stood out above the rest. First, students saw the most benefits when their school librarian spent at least 20 hours a week collaborating with instructors on teaching activities. Second, although ebooks are not yet widespread in South Carolina school libraries (with a median of 40 titles), students at schools with larger print and ebook collections were more likely to show strengths on writing standards. This was especially true for poor students and students eligible for meal subsidy. Third, while all students were positively impacted by access to computers, this was especially true for males, Hispanics, those with limited English and eligibility for meal subsidy. Based on this study and others like it, the trend is clear – school libraries and the librarians who lead them are making a difference in education. 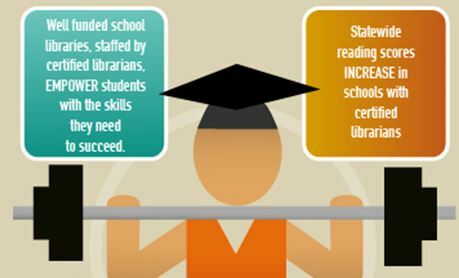 You can get more information about other school library impact studies conducted in Colorado and across the county here. A more detailed report on the South Carolina study can also be found here. LibraryJobline, LRS’s website for library job postings and resources, saw its best year yet in 2015 in terms of jobs that were posted. In the latest Fast Facts Report, 656 total job postings were added to LibraryJobline last year, which is almost three times the number of job postings in LibaryJobline’s slowest year, 2009. More than two-thirds (68%) of those job postings were located in Colorado, and just over half (53%) of jobs were full-time, a slight decrease from the previous year. Average librarian salaries are continuing to increase and surpass their recession levels, although significant progress is slow. Jobs not requiring an MLIS saw the biggest salary increase in 2015, up to $17.05 after hovering around $15.00 for the past several years. MLIS required ($24.80) and preferred ($22.37) saw slight decreases from the previous year, although they are both still well above the average starting salary for any year before 2014. Subscriptions to the site continued to show healthy growth, with 546 new job seekers and 115 new employers added in 2015, and we sent 741,000 emails – the most ever in a single year! Are you hiring at your library? In the library job market yourself? Sign up for Library Jobline as an employer or jobseeker. Jobseekers can tell us what jobs they’re interested in and get emails sent straight to their inbox whenever new posts meet their criteria. And employers can reach more than 4,000 jobseekers and more than 900 followers on Twitter @libraryjobline. The 2014-15 Colorado School Library Survey data has been posted at http://www.lrs.org/data-tools/school-libraries/annual-statistics/. 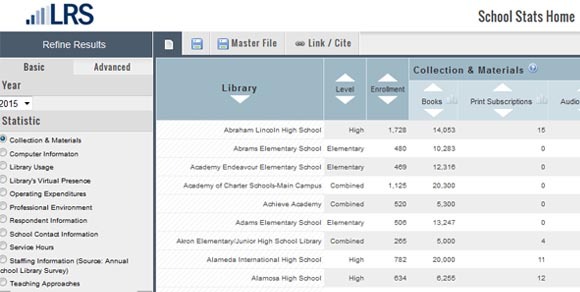 From this page, you can view individual school library profiles for all schools that completed the survey as well as statewide estimates and benchmarks for selected statistics, and use our interactive tool to explore the data in more depth. There is also a Fast Facts available that presents highlights from the 2014-15 results. Many thanks to all of the Colorado schools who participated in the survey!